WPThemeTank is NOT collecting any information via contact forms or newsletter signup forms. And will never collect information about you unless otherwise authorized and provided by you. We do not engage in the collection of any information specific to you or your visit. We value the privacy of information pertaining to our associates. Even if the information is authorized by you, we do not use or process or disclose information about your individual visits to our website or any information to outsiders. We have already disabled commenting on our WordPress posts and pages. So, no question regarding any data collection via websites comments section. Like many other Web sites, WPThemeTank may make use of log files. The information inside the log files includes internet protocol ( IP ) addresses, type of browser, Internet Service Provider ( ISP ), date/time stamp, referring/exit pages, and number of clicks to analyze trends, administer the site, track user’s movement around the site, and gather demographic information. IP addresses, and other such information are not linked to any information that is personally identifiable. WPThemeTank itself does not store any specific cookie. But our affiliate theme makers websites (3rd party) may have cookies stored on the event when you visit their website link via our site pages. 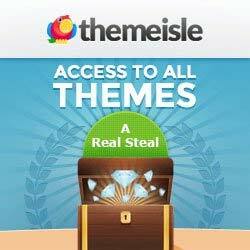 WPThemeTank has no access to or control over these cookies that are used by third-party affiliate theme makers. By accessing this site you are subject to all applicable local, state laws and regulations. Unauthorized access or use will be prosecuted in accordance with laws & regulations in India. Due to difference in regional cultures, material that is acceptable in some countries may not be acceptable in others. For this reason and many others, we maintain a strict “No Adult Material Policy”. So, we do NOT display/market any related products/material. Please also go through our site disclaimer.